Mortgage life insurance is to cover your mortgage debt if you pass away or to cover your monthly payments. What type of insurance you take out will depend on the type of mortgage that you have, whether it is interest only or capital repayment. If you require insurance to cover your monthly payments then there are many different plans available to you with varying benefits that are often confusing. Our advisors will save you time and effort by searching across the whole of the life insurance market for you . FSA regulated Mortgage Protection Insurance advisors can help you find the right deal and give you advice. Our Mortgage Protection Insurance advisors are experienced and qualified to give you advise in a friendly and efficient manner. You will not be put through to a call center but a small team of qualified IFA’s who will give you the best advice and deal.Our quotes are free with no obligation. 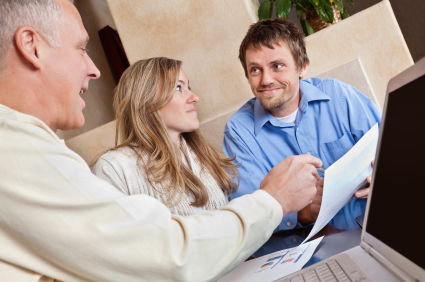 Why Use Mortgage Advice Center? We are not a big call center but a company of 10 who give personal advice. Just fill out the form on the right hand panel and one of our regulated life insurance advisors will get in touch with you to discuss all your options, and guide you through the whole life insurance process. The Mortgage Advice Center is a Communication of Anderson Lloyd Llp. Anderson Lloyd Llp is Directly authorised and regulated by the Financial Conduct Authority. ©2014 Mortgage Advice Center All rights reserved. Mortgage Advice Center is a trading name of the following company which are authorised and regulated by the Financial Conduct Authority for advising on and arranging the following: Anderson Lloyd Financial Advisors, 10 Strangways Terrace, Truro. Cornwall. TR1 2NY. FCA number 207597.